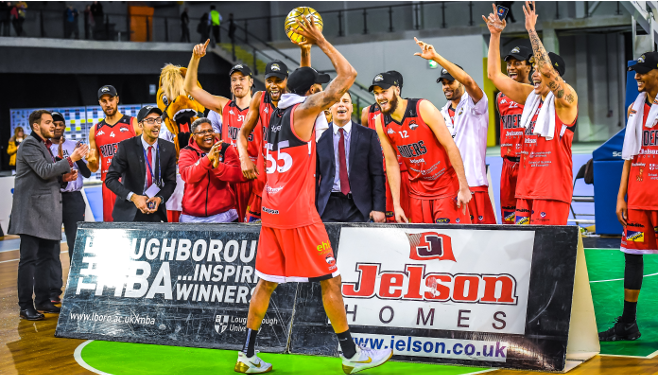 JR Holder earned the MVP award after helping Leicester Riders to their third straight BBL Trophy title on Sunday. The rookie out of Jacksonville University finished with 15 points, 4 rebounds, 3 assists and 2 blocks in the 90-85 victory against DBL Sharks Sheffield. “It was a real up and down game – we had it early in the game but they came back and applied a lot of pressure,” he said. “We’ve been down in a lot of games and we always find a way to come together and were able to produce a big finish. “Early in the season, a brand new team we had to mesh together and now we know each other’s strengths and weaknesses. Shane Walker top scored for the Riders with 16 points as five players hit double figures in total to epitomise the strength in depth of the league leaders. Holder added: “You never know who is going to go off in these games because we have so many weapons on this team. Riders became the first team to win three straight Trophy titles since Chester Jets won four in a row from 2001-04 with Rob Paternostro securing his 10th overall piece of silverware in the BBL.
? BBL titles as @RidersBball head coach for @robpaternostro! ?